Several types of seaweed are found in the oceans across the globe, of which some are edible and some are not. The Asian cooking style uses most of the seaweed in its recipes. Seaweeds are basically algae which are high in fiber, iodine and protein content. One of the most commonly available seaweed known to all is Kelp, which is found in around 30 different types. Seaweeds are also found in fresh water but most of them is non edible as they are toxic in nature. Seaweeds occur naturally in oceans and sea but nowadays it is also cultivated or harvested for the extraction of its gelatinous substance found in them known as “Hydrocolloids” which is used as a food additives for its properties of retaining water, emulsification and gelling. Seaweeds are classified by various features of it but the most common classification is by its color i.e. Red Algae, Green Algae and Brown Algae. Below is the list of some common and popular seaweed which is widely used in cooking across the world mostly in oriental cuisine. Most common variety of all seaweeds, also available in dried form in western countries. Kelp is an English name for the Japanese name of Kombu or Konbu. Kelp belongs to brown algae family which grows in underwater forest in the shallow ocean. 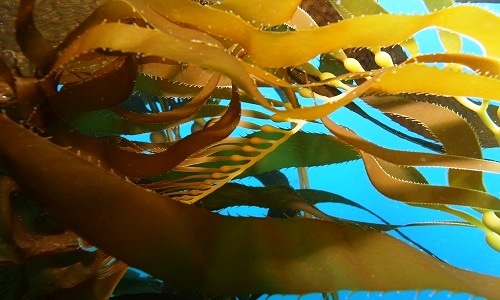 Kelp is rich in Iodine and other minerals and vitamins. The flavor of this algae is of strong sea and the texture is crunchy. This is mainly used in soup but can also be served as poached or stewed dish. The famous “Dashi” stock of Japan is flavored using this seaweed. 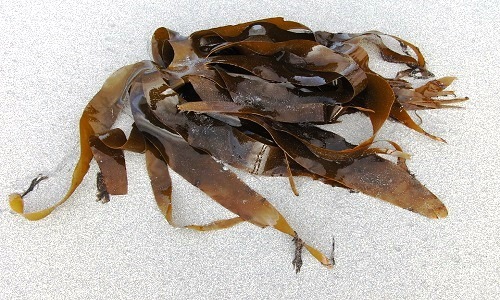 Kelp has pale powdery covering over it which contributes to its flavor and hence its should not be washed but only wiped using a wet cloth, later after the fabrication as per the required size it is soaked in cold water for 45 – 50 minutes and both water and the seaweed is used in the cooking. Also from the brown algae family, this dark colored seaweed has delicate sweet flavor and crisp texture and is commonly used in soups and salads. This is available shredded, fresh and dried. Dried wakame should be soaked in tepid water for 10 – 15 minutes until it softens and turns green from dark brown. It should be shocked before cooking so that its regains its natural color. 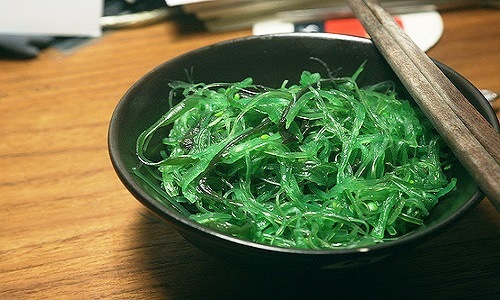 Most people know about this seaweed as “sushi wrapping”, this is a dark green colored seaweed from the red algae family which is commonly used as a wrapping for sushi and “onigiri” in Japan, it is also used as garnish for soup or flavoring for noodles. 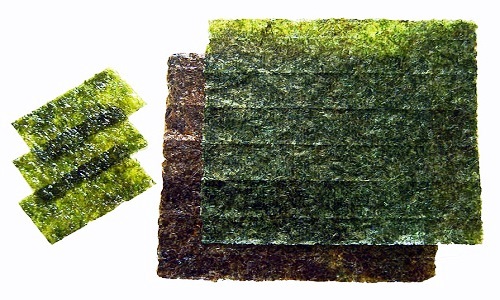 Sheets of this seaweed is sold in market which of green to black color and transparent in places, the sheets should be grilled before it is used with sushi. There are many other edible seaweeds which is found in the oceans but will take me at least a month and 10 post to write down all, so forget it. Anybody who wants to know more about seaweeds can visit the below external link.